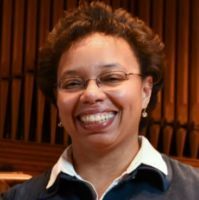 Dr. Powell serves as Charles W. Barkley Endowed Professor and Professor of Voice at Auburn University and has been hailed as one of America’s premier women composers of choral music. 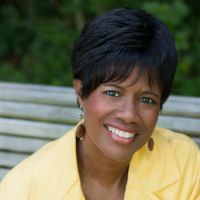 Dr. Powell’s research has focused on the art of the African-American spiritual, gospel music, and voice care concerns for voice professionals. She travels the country and internationally presenting lectures, song demonstrations, and serving as a workshop clinician, conductor, and adjudicator for solo vocal competitions/auditions, honor choirs, choral workshops and festivals. Dr. Powell was a recipient of the "Living Legend Award" presented by California State University African Diaspora Sacred Music Festival in Los Angeles. She was listed in the first edition of the international publication Who Is Who in Choral Music. And, she has been included in Who's Who Among America's Teachers and Outstanding Young Women in America in recent years. Nicole Keller is an active solo and chamber music recitalist and clinician in the United States and abroad, including performances in New York, St. Louis, Kansas, Detroit, Newark, Germany, France, and Kazakhstan. Ms. Keller is on faculty at the Baldwin Wallace University Conservatory of Music in Berea, OH and serves as the Director of Music at The Community of Saint John in Hudson, OH. In April of 2011 Ms. Keller won first prize in the North American round of the Michael Tariverdiev International Organ Competition, earning a place in the second round in Kaliningrad, Russia in September. In Kaliningrad she was awarded the Special Shabyt Prize from the Kazakh National University of Arts in Astana, Kazakhstan for “the most promising organist for inspiration and luck,” which included a recital in Astana and a CD recording. In August of 2010 Ms. Keller was an instructor in the Internationale Orgelakademie at Dom St. Stephan in Passau, Germany. Michael J. Glasgow holds B.A. degrees in music and in journalism; as well as a Master of Church Music degree, in both choral and handbell music. He serves in leadership roles with the North Carolina Master Chorale and the Tar River Orchestra & Chorus. An award-winning composer, he strives to creatively advance the art of handbell and choral music, through special projects, assignments and commissions. Michael is proud to have served as the inaugural conductor for the annual Anthornis and Anthornis North advanced-ringing events in Minneapolis and Fargo; and to have conducted in England, Canada, and on a cruise ship in the Eastern Caribbean. He will make his Carnegie Hall debut conducting his Requiem in June 2017. He also serves as the editor for the Handbell Musicians of American Area 3 newsletter, The Bell-O-Gram, and is a member of ASCAP, American Composers Forum, Mensa and several other professional organizations. Additional information and samples of Michael’s work may be found at www.michaeljglasgow.com. Michael Lawrence holds a Music Education degree from Northeast Louisiana University and has directed bands, orchestras, choirs, youth choirs, and vocal ensembles for twenty five years. After working in the music industry as a producer, writer, and editor, he accepted the position of full time Instrumental Minister at Brentwood Baptist Church, located just outside Nashville, Tennessee. In the past, he's spent twelve years on a marching and symphonic band, six years as a drum major of a marching band, and was the church orchestra director, and student minister at his home church in Louisiana. 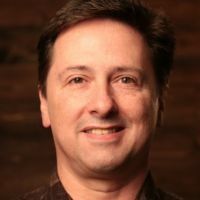 At Brentwood Baptist, his purpose is to connect people to Christ through instrumental music. 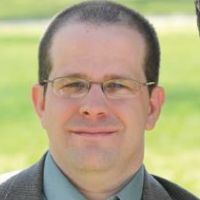 In addition to his responsibilities in ministry, Michael enjoys creating choral and instrumental music for several publishers. Michael and his wife, Melanie, live with their three children in Nolensville, Tennessee. Jeffery Redding, Director of Choral Activities at West Orange High School, Winter Garden, Florida has led his choirs in performances at State, Regional, and National conventions of the American Choral Directors’ Association (ACDA). 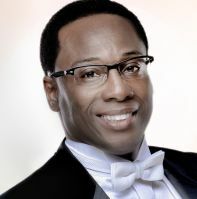 Nationally, Dr. Redding is in demand as a guest conductor and lecturer and was awarded the R. Wayne Hogoboom Distinguished Service Award for dedicated service, leadership, and excellence by the Florida Chapter of ACDA in November 2015. Dr. Redding is founder and Artistic Director of the Garden Community Choir in Winter Garden, Florida. 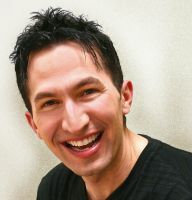 Formerly with the Moses Hogan Singers, he is now a member of the professional male singing group, “Brethren.” Dr. Redding directed the Mormon Tabernacle Choir for their 2005 spring broadcast. He was featured as guest conductor at Carnegie Hall, Alice Tully Hall, Kennedy Center, and Orchestra Hall on numerous occasions and has been honored to give the prestigious TEDx Talk. 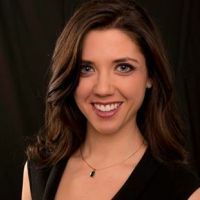 Emily Williams Burch is the founder and artistic director of RISE Chorales, a community choir for young musicians (through seniors in high school) that seeks to Revolutionize and Inspire Singing Excellence. RISE Chorale has a mission of experiencing musical artistry, education, and personal growth through the choral arts and community experiences. RISE Chorale’s singers are united through a love of singing, but purposely seek out service projects and social events to enhance the singer and the community they live in. They sing, socialize and serve! When not directing, Mrs. Burch works as adjunct faculty at Savannah State University, where she teaches Music Appreciation. She also has the privilege of traveling the country as a teacher/trainer for Quaver’s Marvelous World of Music, an interactive K-8 music curriculum. Coming in 2017, Mrs. Burch has worked with a team of young singer specialists to develop a 3-5th grade choral curriculum. She also serves as an Artistic Adviser for Perform International, where she helps organizations create and realize their dreams on tours in the US and abroad. Prior to these engagements, Mrs. Burch served on the podium as Director of Education and Music for the Savannah Children’s Choir for almost ten years. 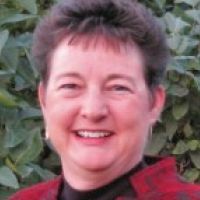 She also served as Department Chair and taught General Music/Piano at The Garrison School of Visual and Performing Arts, in Savannah, GA.
Mrs Burch holds a Bachelors and Masters Degree in Music Education, from Louisiana State University and Florida State University. Choirs under Mrs. Burch’s direction have performed regionally, nationally, and internationally including appearances at the Georgia Music Educator’s In-service Conference and the 23rd Annual Concors Internazionale Di Canto Corale, an international choir competition in Verona, Italy, where they received a gold award. Mrs. Burch is in her third term as Repertoire & Resources Chair for Children’s and Youth Community Choirs for the Southern Division American Choral Directors Association (ACDA). She recently traveled to Sweden as part of the ACDA International Conductors Exchange Program. She is a highly sought after clinician for both treble and middle school honor choirs. Mrs. Burch lives in Savannah, GA with her husband, their two dogs, Maestreaux and Boudreaux, and actively trains for Marathons and Triathlons, in her spare time.